Nids d’oeuf is one of those magical dishes that makes you look like an amazing cook while being totally easy to make. It’s french for egg nests, and that is exactly what they are, little nests made out of eggs. Call them egg nests if you like, but nids d’ouef (pronounced like “knee duff”) sounds all fancy. They have a really unique and delightful texture that’s unlike anything I’ve ever had. These bake in the oven for a short time on a silicon baking mat (such as a Silpat) or parchment paper. I use mats from Artisan Metalworks, which are available on Amazon in pairs for less than the price of one Silpat, and they are fantastic. Preheat your oven to 450º. 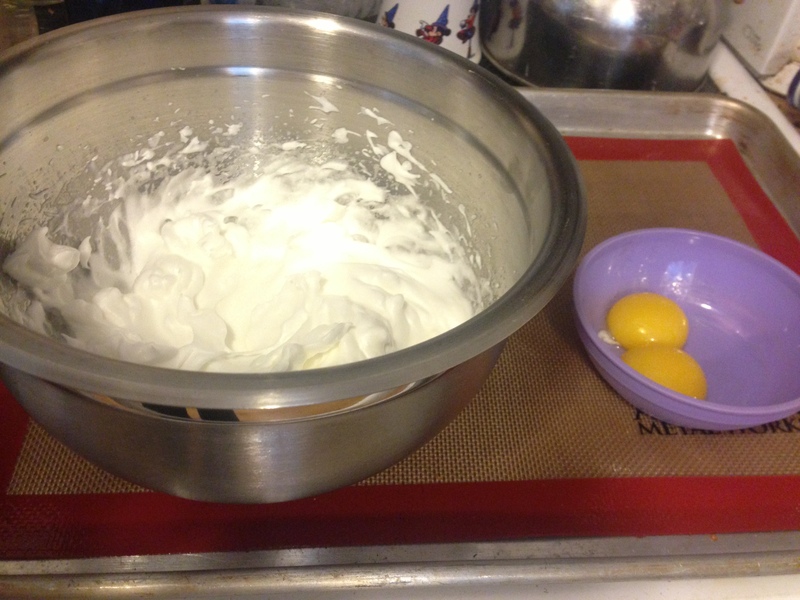 Separate the eggs, setting the yolks aside and putting the whites into a glass or metal bowl. The egg police won’t come after you if you use a plastic bowl, but it must be very clean for the eggs to whip properly and plastic tends to hold onto oily residue where metal and glass don’t. Add the salt to the egg whites, and whip them until they are very stiff. 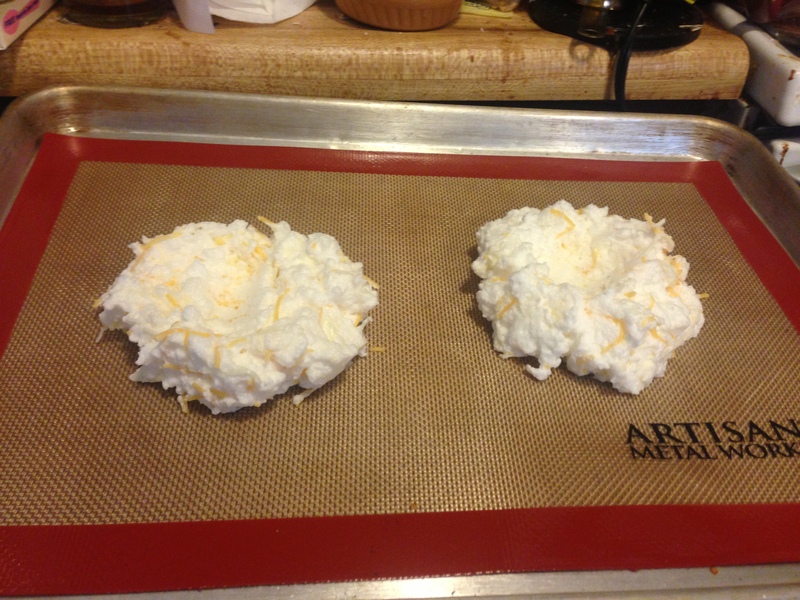 Add the cheese to the whites, folding it in carefully to avoid collapsing the egg whites. 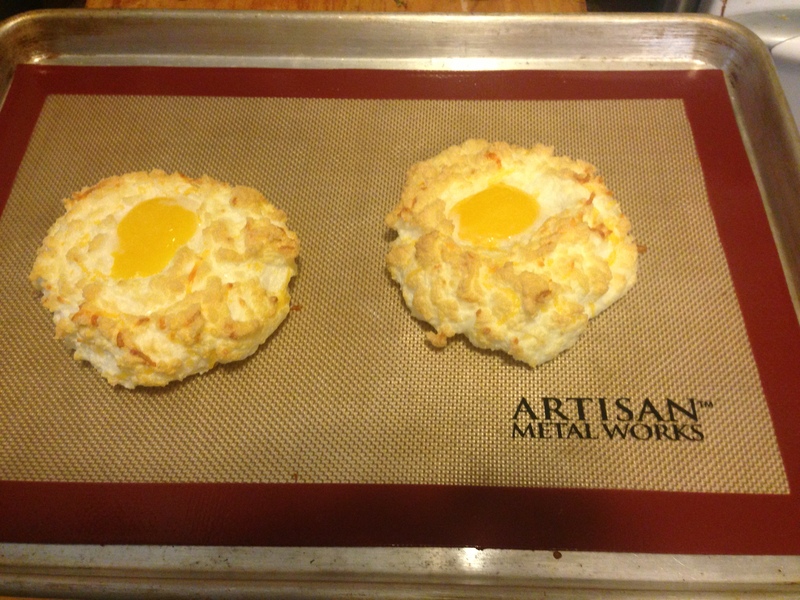 Put your baking mat or parchment paper onto a baking tray, and arrange the egg whites/cheese into two piles with indentations in the center. 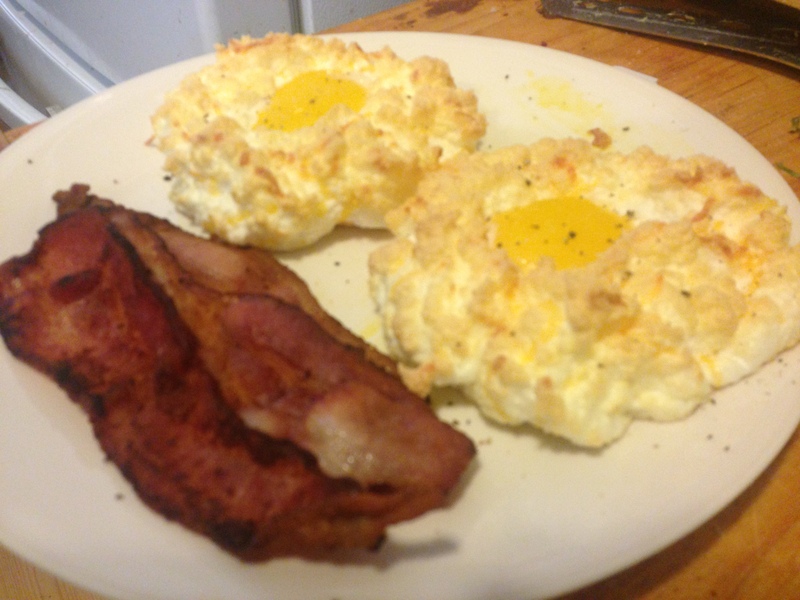 Bake for 3 minutes at 450º, and then add a yolk to each indentation and bake for another 3-4 minutes. When they are done, they should be golden brown, like a lightly toasted marshmallow. Crack a little black pepper over the top, to taste, and serve right away.